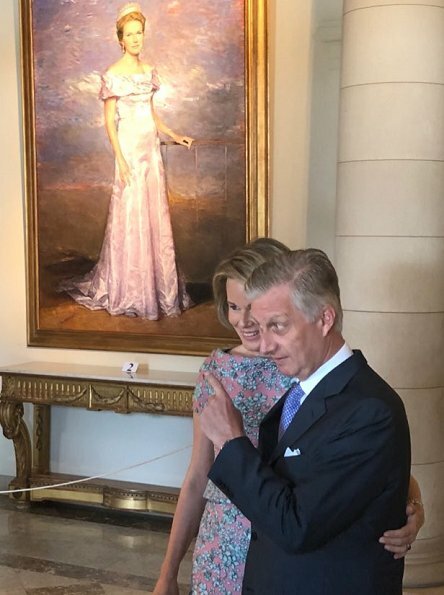 On July 20, 2018, Queen Mathilde of Belgium and King Philippe of Belgium visited 'Wonder' summer exhibition at the Royal Palace in Brussels. 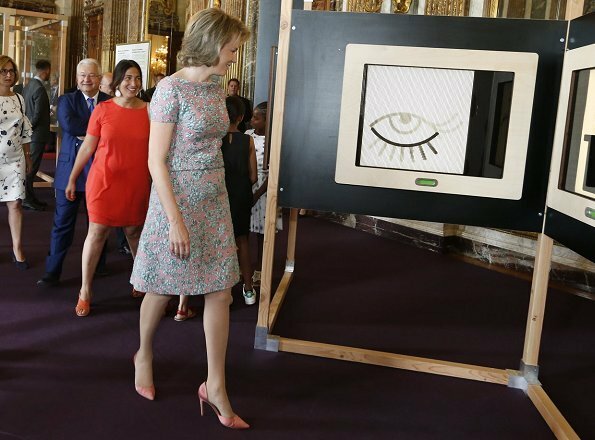 As it does every year, the Royal Palace in Brussels will be opening its doors to the general public this summer with an exhibition from July 22 to September 2, 2018. 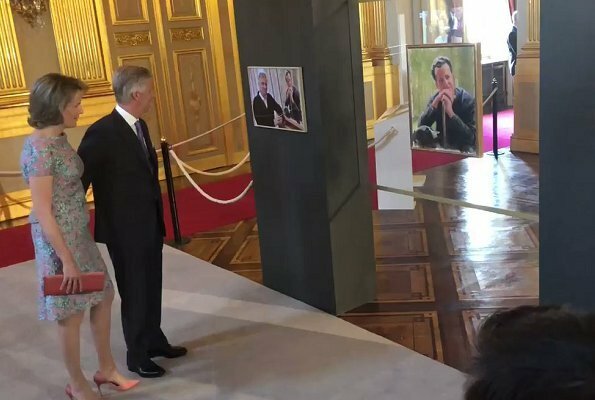 When the Royal family go on holidays, they leave the doors of their palace open to the public. This year the main exhibition’s theme entitled "Wonder" (Verwondering). Interesting dress, I love gray and pink together. 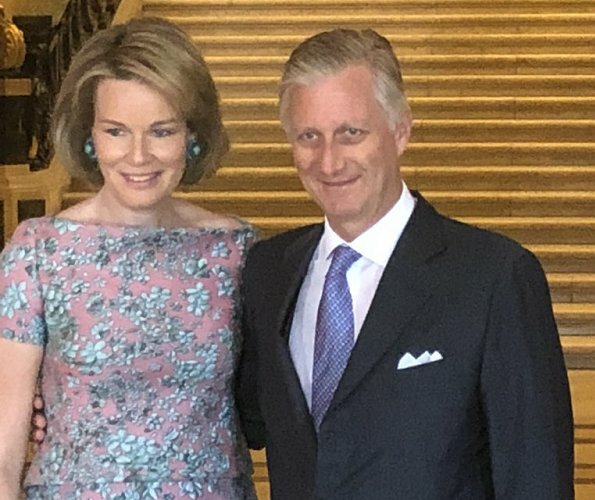 Queen Mathilde wears a beautiful outfit, but I think the colour of the bag and shoes doesn't match very much. 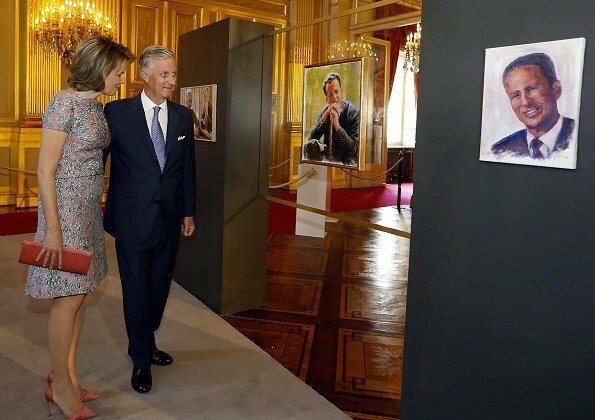 Very nice dress for this Wonder exhibition. Both of these two people are a great team together,love to see them together. 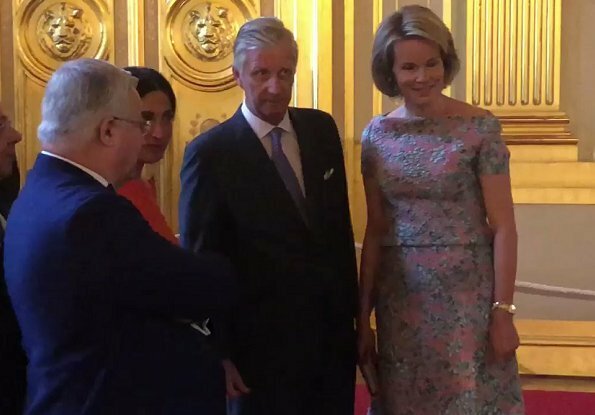 Amazing to leave the palace open to the public! Well done them. Pretty outfit and accessories- what a nice idea this exhibition is.